Pope Francis has held a surprise meeting with controversial Myanmar Buddhist monk Sitagu Sayadaw who recently appeared to condone the slaughter of people practicing other religions. The brief get together overshadowed a separate 40-minute meeting with leaders from other faiths Nov. 28, the second day of his historic trip to Myanmar. Sitagu Sayadaw had previously met with Pope Francis' predecessor, Pope Benedict XVI. Vatican spokesman Greg Burke said the pope stressed "unity in diversity" in his private meeting with Myanmar's Buddhist, Hindu, Muslim, Christian and Jewish leaders which was a late addition to his official schedule. In the inter-faith meeting at the archbishop's residence in Yangon, Pope Francis told religious leaders to work together to rebuild the country and that if they argue, they should argue like brothers, who reconcile afterwards, Burke said. Patrick Loo Tone, president of the Anglican Myanmar Council of Churches, said it was just a "simple meeting" between the pope and religious leaders and "we didn't discuss any issues." "We are very proud of his visit as a Christian and the pope was also happy that he met with us," he told ucanews.com. The meeting with the Buddhist monk came a day after the pope held a 15-minute meeting in the capital Nay Pyi Taw with Myanmar army chief General Min Aung Hlaing, who effectively shares power with State Counsellor Aung San Suu Kyi. The military controls the defense, home affairs and border portfolios as well as 25 percent of the seats in both federal houses and all state parliaments in Myanmar. 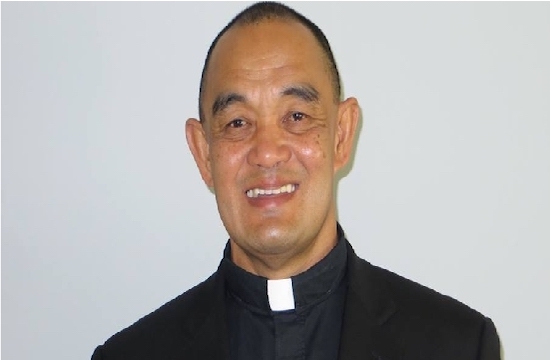 According to local media, the monk has described his preaching as "socially engaged Buddhism". He is also associated with the hardline Buddhist group Ma Ba Tha that was recently officially disbanded by the government but which reconstituted under another name. Sitagu Sayadaw gained a degree of notoriety recently after delivering a sermon to army officers and their families where he told the story of a Buddhist Sinhalese (Sri Lankan) king who slaughtered many ethnic Hindu Tamils in an epic battle. "Even though he killed millions of people, they were only one and a half real human beings," Sitagu Sayadaw reportedly said. Earlier this year, the monk who has supported the actions of the military and government in Rakhine State against the Rohingya, was awarded the title "Honorable, Excellent, and Great Teacher of Country and State" by Aung San Suu Kyi. Myanmar's hardline Buddhists have close links to similarly minded colleagues in Sri Lanka, where the Buddhist majority fought a long and bitter war against the mostly Hindu Tamils in the island nation's north. 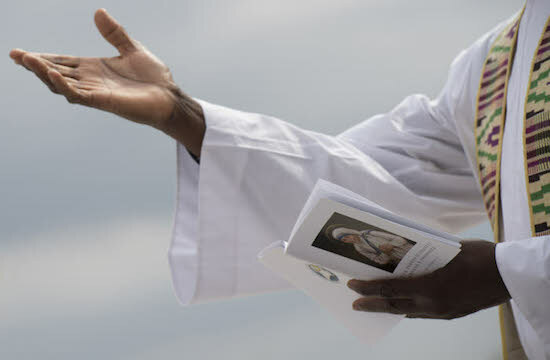 Myint Swe, a Buddhist lay person and president of the Religions for Peace interfaith group in Yangon, told ucanews.com that the pope highlighted diversity and how "we need to accept it as diversity is a strength." Ashin Ariya Wun Tha Bhiwun Sa, a Buddhist monk known as Myawaddy Sayadaw, and who hails from Mandalay, said the pope called for a greater role of religious leaders in getting peace in the country. People who have guns are negotiating for peace but it may be a long way to go for peace if religious leaders are not involved in the peace process, he also said. "The pope's emphasis is on peace so I hope his visit will accelerate the prospects of peace," Ariya Wun Tha told ucanews.com. Apart from the recent Rohingya tragedy, Myanmar has been wracked by a string of civil wars since gaining independence from the Great Britain in 1948. A few localized civil wars still continue today. Nyunt Mg Shein, a Muslim leader in Yangon, said he was pleased to meet with Pope Francis and agreed with the pope's message about unity and diversity regardless of race and religion.